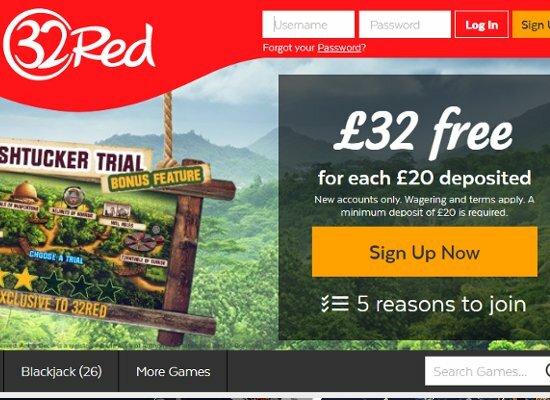 Spinit Casino offers an exclusive welcome bonus worth up to £1,000. The package also includes 200 free spins and is divided between four different match bonuses. 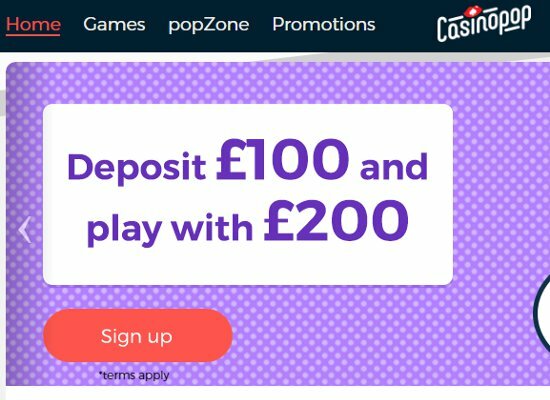 The first bonus starts off with a 100% bonus on the first deposit up to a maximum of £200. 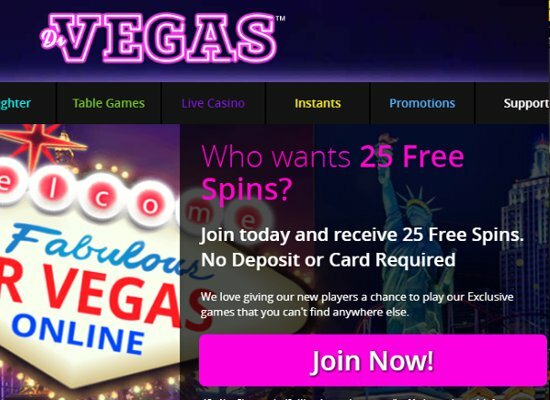 The first deposit is also joined by 200 free spins at a rate of 10 free spins per day, all of which are awarded on BetEnt’s Starburst video slot. It should be noted that those who deposit using Neteller or Skrill will not be eligible to claim the welcome package. A 50% bonus up to £200 is awarded on the second deposit, while the third deposit enjoys a 25% bonus up to £300. Fourth deposits include a 25% bonus valued at a £300. Spinit Casino also offers a 50% bonus up to £100 every Friday, plus 20 free spins. Wednesday’s are reload-bonus days, while Monday deposits are rewarded with a 25% deposit bonus. 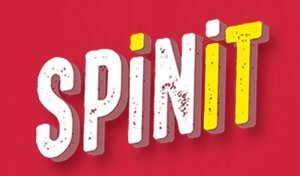 Spinit Casino is a bright and colourful online casino, offering a massive range of highly enjoyable casino games since 2016. Spinit Casino is owned by Genesis Global Limited, who also own other premium online casinos such as Sloty Casino and Casino Cruise. Spinit Casino is regulated and licensed by the UK Gambling Commission, Government of Curacao and the Malta Gaming Authority. 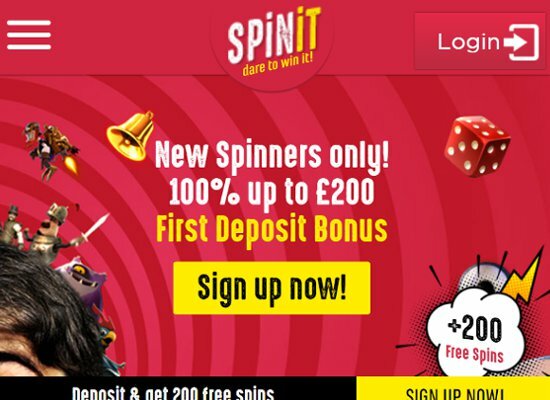 Spinit Casino is one of the favourite gaming hotspots for UK players and currently offers over 1,200 instant play games, a mobile casino, exclusive promotions, fast payouts and outstanding customer support. Members can also enjoy games with peace of mind knowing the casino is serious about fair play and high member security. 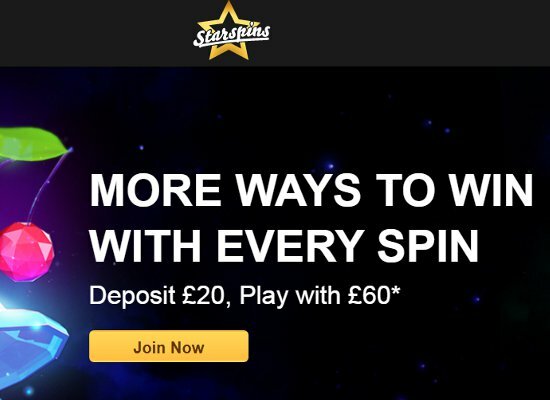 Spinit Casino tempt players with over 1,200 of the most enjoyed titles created by; Quickspin, Play’n Go, Lucky Streak, Microgaming, NetEnt, NYX Interactive and Evolution Gaming. Games offered in several categories provide easy access to; new games, popular games, video slots, table games, jackpot games, live casino games, table games and scratch cards. The classic slots collection includes; Gift Shop, Beetle Frenzy, and Lucky Diamonds. While players who enjoy bonus action are bound to love popular titles such as; JokerPro, Viking Runecraft, Troll Hunters and Wild Wild West: The Great Train Heist. Table games offered on the NetEnt platform include European Roulette and Punto Banco. While Play’n Go table games include; Beat Me, Mini Baccarat and Double Exposure Blackjack. Most enjoyed live dealer games include; Spiñata Grande Fiesta Roulette, French Roulette Gold and Dream Catcher. Spinit Casino offers mobile players a thrilling range of mobile friendly games, which include over 200 exciting titles. New mobile games are constantly added while progressive jackpot play at Spinit Casino includes; Mega Fortune, Cosmic Fortune and Divine Fortune created by NetEnt. Players can also spin their way to progressive wins on the popular Play’n Go’s Leprechaun Goes To Hell video slot. iPhone and iPad users can download the Spinit Casino App from the Apple App Store. Payment methods available at Spinit Casino include; Visa, Eco, Visa Electron, Sofort Banking, Giropay, Entropay, Neteller, Trustly, Skrill, Zimpler for mobile devices and MasterCard. Renowned for its fast withdrawals Spinit Casino offers 24-hour withdrawals via Visa, MasterCard, Zimpler, Trustly, Euteller, Skrill and Entercash. Support is provided via an online FAQ, telephone contact, and live chat 24 hours a day, every day of the week. All member information and sensitive payment details are protected via standard SSL encryption, and the casino guarantees fair and RNG play via regular third-party audits that certify all games are fair.